Inman Aligner is a simple removable appliance which is a great solution for crowding, protrusions, crossbite or rotating. Inman Aligner is a simple removable appliance which is a great solution for crowding, protrusions, crossbite or rotating. It allows your teeth to be gently moved to an ideal position in a matter of weeks. Impression will be taken for a custom made appliance to be made for your mouth. The appliance would be worn for 16-20 hours a day removing when eating. Regular check-ups with your dentist every 2-3 weeks will monitor your progress and ensure the best course of treatment is provide for you. Most cases are completed between 6-18 weeks. 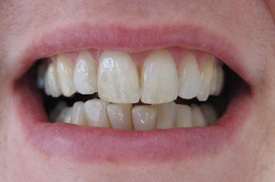 After completion you can choose from a fixed retainer or removable retainer to prevent relapse. 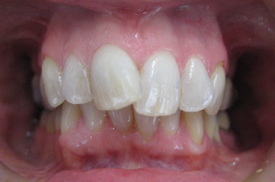 Our dentists here at Whitemoss, Aileen Sloan and David Core are certified to provide treatment for Inman Aligner. Please contact the practice to arrange a Free consultation.